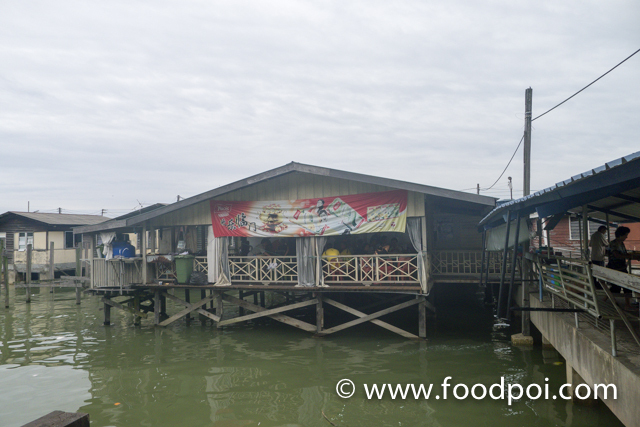 Sim Sim water village is the place where you find all sorts of seafoods to eat. 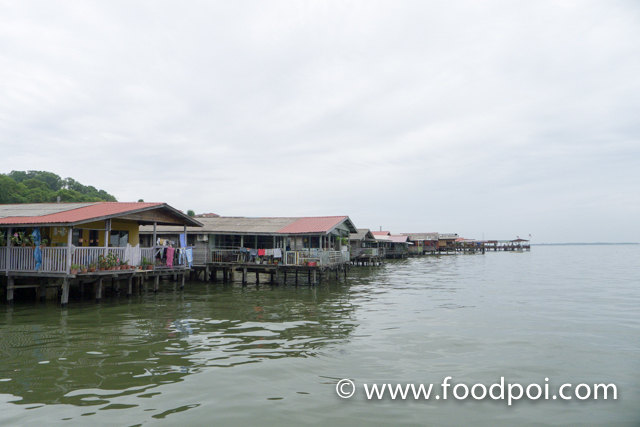 The settlement by the sea is been there for ages since early days Sandakan was formed. We had our dinner there the first night when we touch down in Sandakan and back again the next day morning for breakfast. To find the place is just along one long stretch road. All the location were marked base on which bridge number. 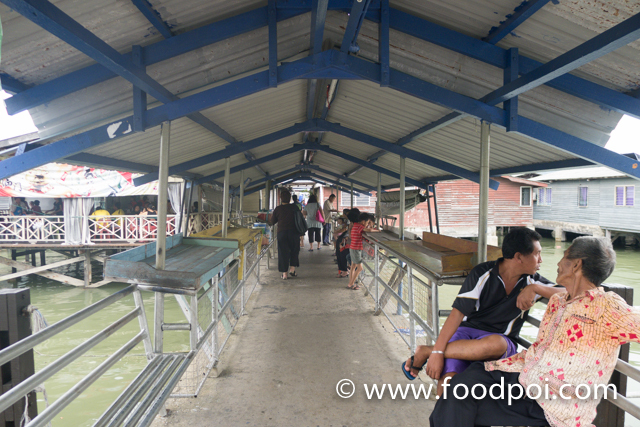 In this case, this eatery is located at Bridge 8 which can be seen from the road. This is the view from the roadside. 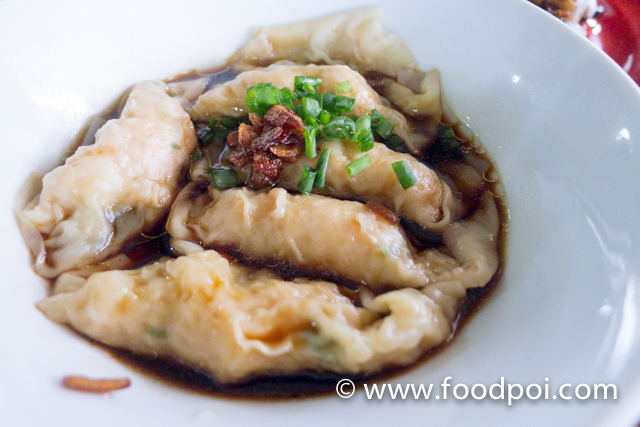 The kopitiam serve some dim sum which localised that suits the taste of the locals. Majority of their customers were locals more than tourist. 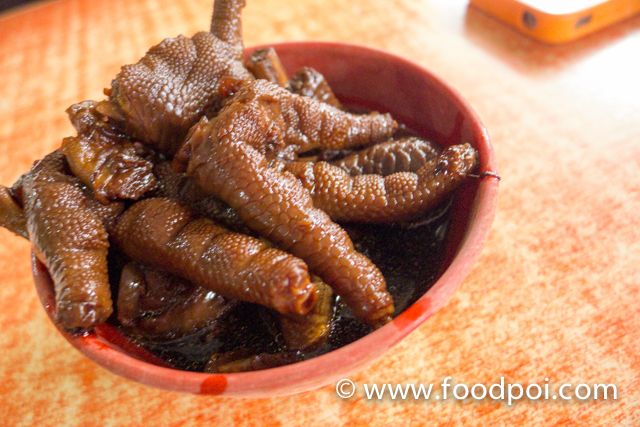 This is basically Yong Tau Fu like breakfast. 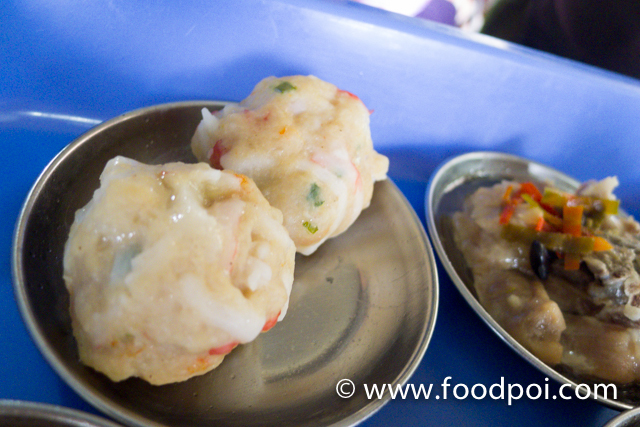 There are fresh fish paste and some wrapped with pig skin and then cook with clear soup. 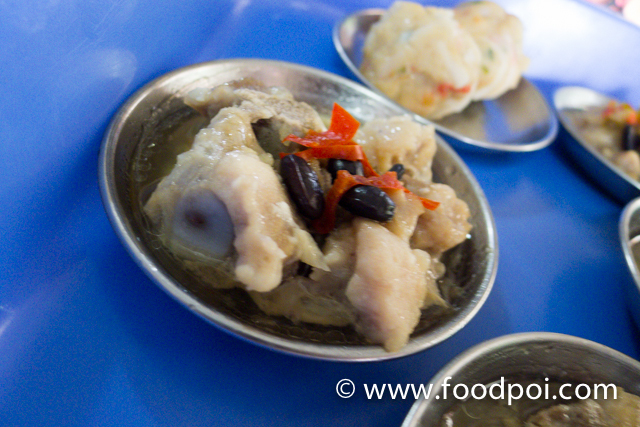 All the soup has a common base and cooked using the fishes. 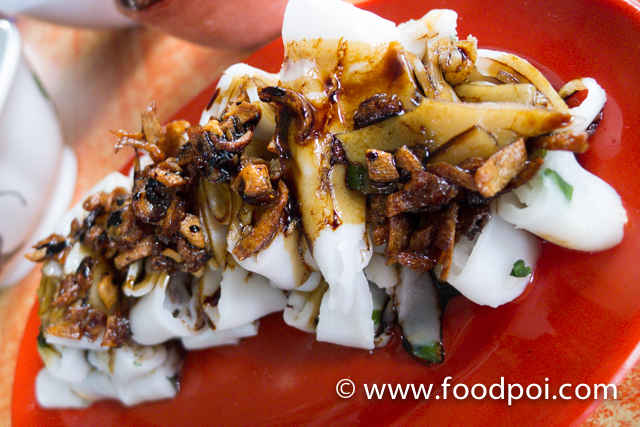 The chee cheong fun here just use dark soya sauce and topped with fried shallots. 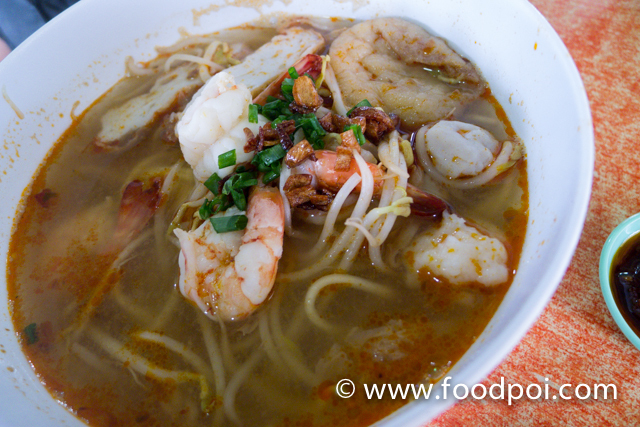 However the flat noodle is not as smooth as the from Penang. 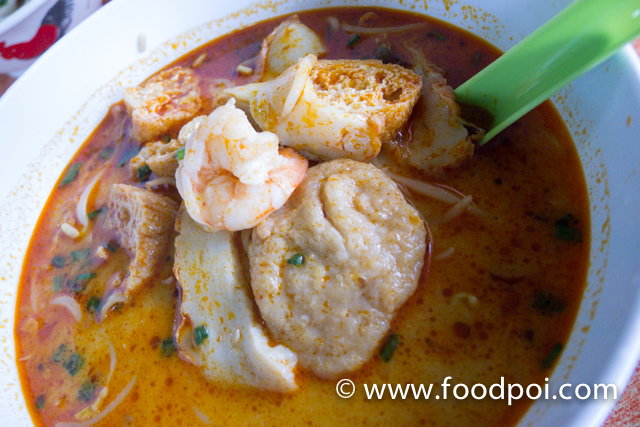 The texture slightly rougher and thickness double the ones from Penang. The dark soya sauce are pretty sweet for my liking. Basically you can choose your favorite noodle to go along with the beef briskets. The soup are slightly peppery and not as strong herbal taste compare to the one from KL. Normally beef briskets are cooked for a very long time and continuously cook since they start operating. 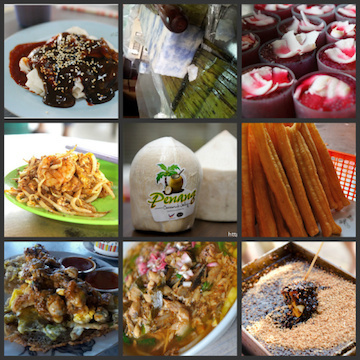 The super star breakfast in Sandakan. 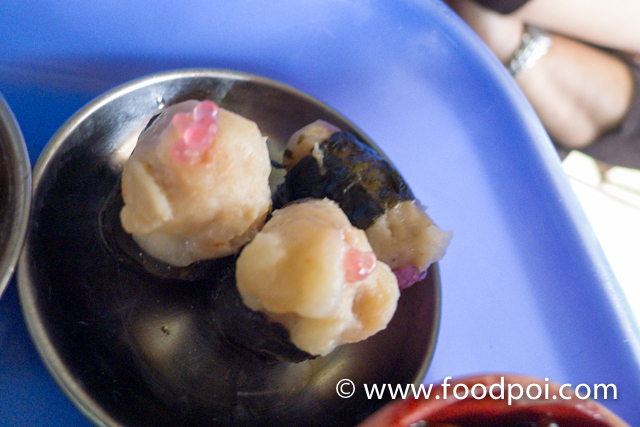 It resembles a normal sui kau but it is packed with pork and century eggs were added. 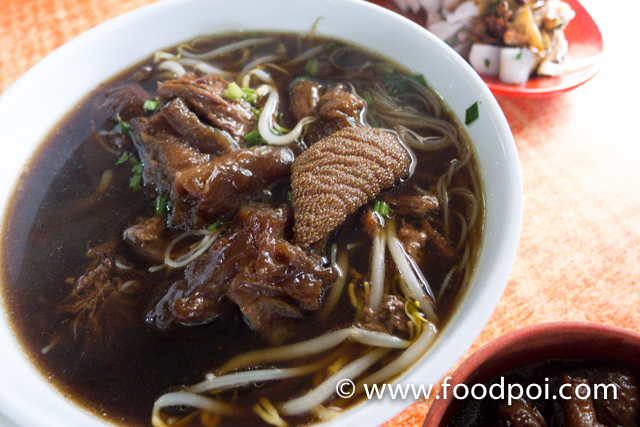 Curry Mee with yong taufu. 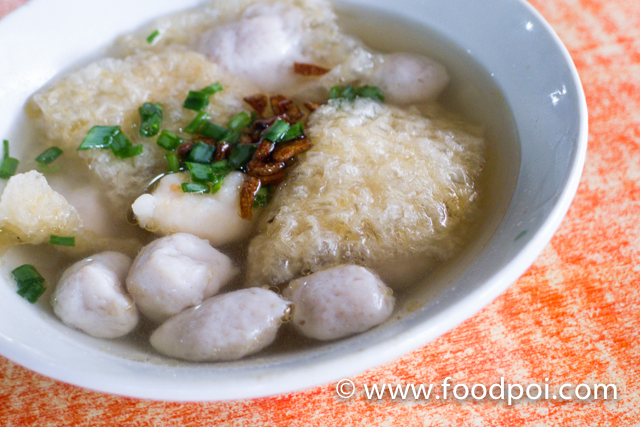 Another super star of Sandakan breakfast that similar to wan tan mee with added fried nam yue pork. It is known as Spring noodle for its springy texture. I find that the noodle are not as springy as it claims. 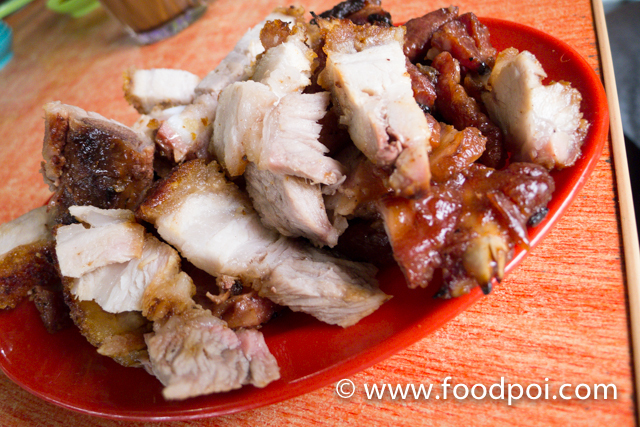 The nam yue pork is not as good compared to the one in Sandakan Central Market Food Court’s version. 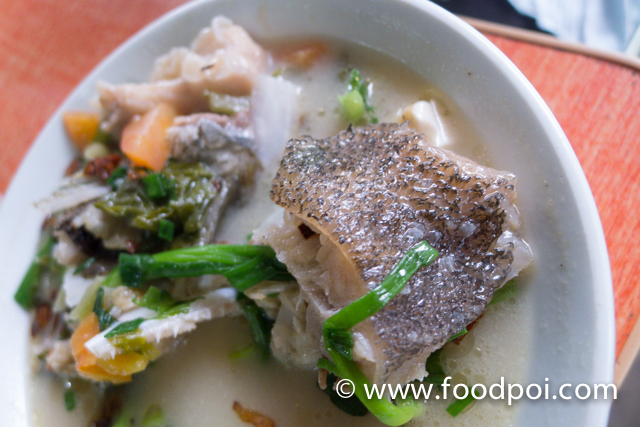 The fish are fresh and the soup are cooked with evaporated milk and salted vege. The fish used were either garoupa or marble goby since it is easily available here. 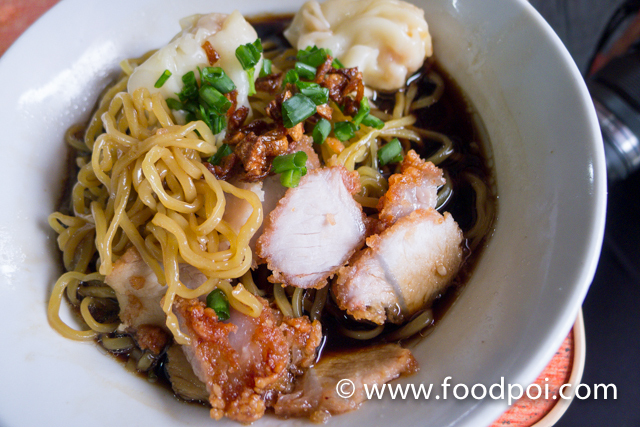 This bowl of noodle if eat in KL, it would cost easily RM35 or not RM50 with the current market price. Roast pork from Winky’s Dad butcher shop in the market. The breakfast place basically do not have much pork dishes. Since Winky (Sheraton Event Manager) know that I am a pork lover, she brought her dad’s roast pork for us to try. It was good and juicy with a perfect lean and fats at the right proportion. Thanks again for letting us try. * The trip were organised and hosted by Four Points By Sheraton Sandakan, Sabah.